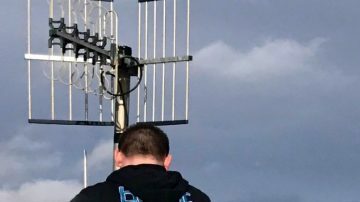 We offer the most competitive Aerial and Satellite solutions in the South-East with engineers on hand to offer Same Day Service. We install, commission, service and maintain some of the most sophisticated TV Systems in the South of England. We install, commission, service and maintain TV systems serving 4 properties to hundreds of properties. Consistently offering over and above others in the industry. We provide planning, install, service and maintenance of your smart home project from initial thought processes to commissioning the system. 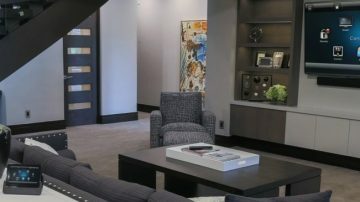 We supply all the services you require to ensure your new TV is installed to your exact desires. We offer completely wire free music systems to the home, where your complete library or a streaming services library is just a touch of a button away. 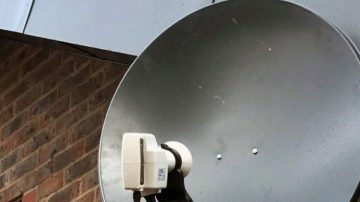 Briant Communications have been installing and maintaining aerial antenna, and satellite dishes in Worthing, Brighton, Crawley, Eastbourne, Hayward's Heath, Bognor Regis, Portsmouth, London and throughout the South East for over thirty years. Over that time we've installed thousands of receivers to many hundreds of satisfied households. And as a Sky approved partner, we're the company they recommend when the best location for the dish is too hard for them to reach. Over the years we've branched out from just being your local TV aerial and satellite dish installer to taking on a variety of other home entertainment, AV and Smart Home installations. We offer an outstanding range of services and solutions. We now do everything from hanging your flat screen TV to installing Smart CCTV security cameras, access control and intercoms, Smart Thermostats and lighting controls. So if you're interested in getting Freeview TV, Sky TV, audio visual entertainment and WiFi throughout the home, hanging a television set on the wall, or even building an entire home cinema, get in touch. Or if you're starting out with Smart Home Automation and you'd like to know the pros and cons of what it can bring to your home then we can help with that too. We offer free no obligation quotes for our planning, design and installation so you'll always get the most out of the devices we install. Don't worry if you live in a flat or apartment. We have built relationships with property management companies throughout the Sussex, Kent, Surrey and Hampshire region, and have a wealth of experience putting up communal aerials and satellite dishes. 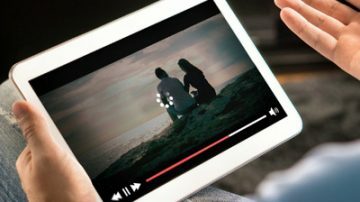 One receiver will be able to deliver all the TV and digital radio channels currently available to each individual residence, often tucked out of the way so there is no visual impact for residents or neighbours. We have Briant Communication to install our SkyQ and a new Sonos system. Excellent company from helpful courteous office staff to the guys carrying out the work. Great job; very knowledgable about their products, timely efficient and tidy. We Listen, We Discuss and We Advise. It sounds obvious but we listen to what you say, what issues you are having, we talk through your ideas and issue and advise on the best course of action. As a company, we have been trading since 1985 and have been evolving with the market through this time, learning the upcoming trends and mastering these for when they become mainstream within the marketplace. Our commitment to our customers is to arrive on time always from the initial meeting to handover, and in turn complete all projects on time to budget. We use the best technology and tools to ensure that all jobs are done quickly but also giving attention to details and ensuring everything is done correctly. Brighton, Eastbourne, Hove, Shoreham, Littlehampton, Chichester, Bognor Regis, Havant, Portsmouth, Hastings, Seaford, Lewes, Haywards Heath, Burgess Hill, Crawley, Horsham, Crowborough, Reigate, Redhill, Guildford, Uckfield, East Grinstead, Horley, Royal Tunbridge Wells, Tonbridge, Heathfield, Midhurst, Farnborough, Woking, Epsom and Croydon. Contact Briant Communications today on 01273 465377 and we’ll be happy to talk through your requirements and our friendly office staff will be happy to schedule an appointment that suits you.